What is the Uniti Nova? How was the Uniti Nova tested? 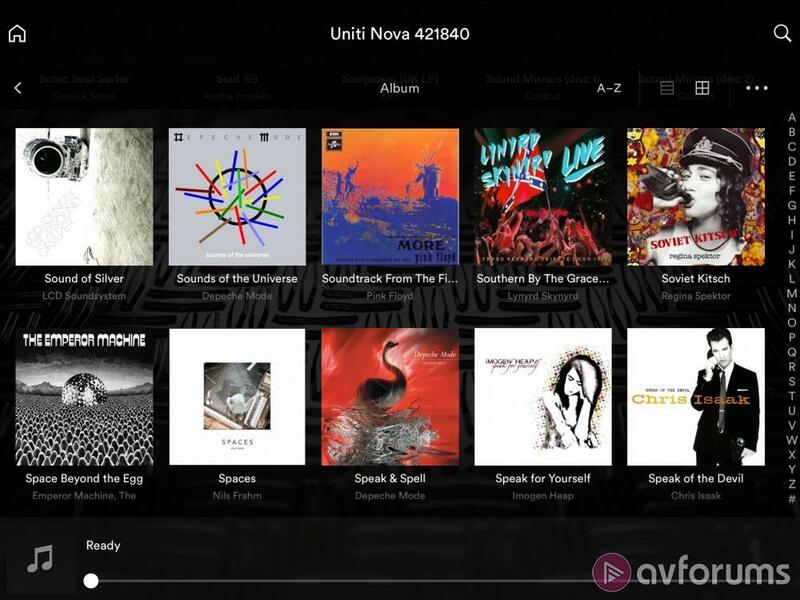 The Naim Uniti Nova is the top tier of the three current members of the Uniti range. Rather than piling on additional features from the Uniti Atom and Uniti Star that we have already looked at, it takes a different approach to justifying its existence. This is an indirect replacement for the SuperUniti from the previous generation of products which was intended to give a serious taste of Naim separate ownership in a more convenient form factor. This is a noble aim and one that surely has a degree of appeal but there is no ignoring that the Nova is over £4,000 and this does buy a fairly hefty chunk of separates from a number of very reputable brands indeed. There’s also the trifling detail that the Uniti Star is astonishingly good. In the current upheavals to my existence, I lived with it for several months and found myself astonished at how capable it is across a huge variety of roles and functions. Does its big brother do enough to justify its existence? As a considerable amount of the contents of the Nova are shared with the Atom and Star, I will avoid going over the same ground in huge detail. 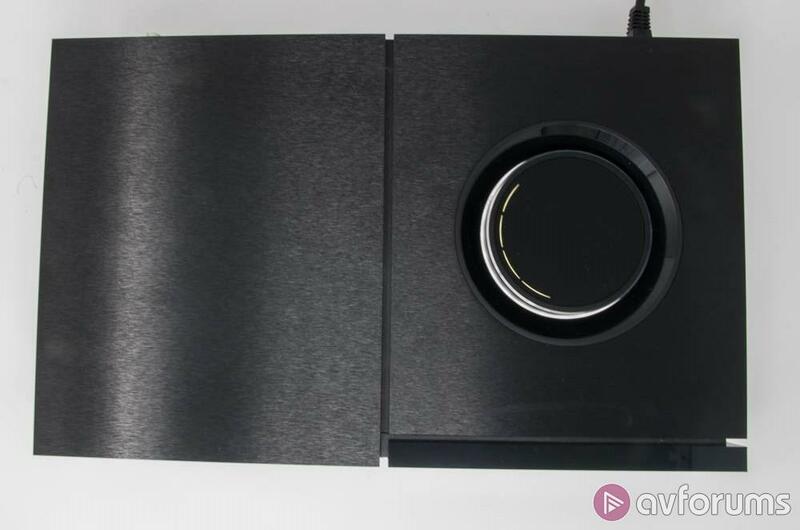 Like the smaller streamers, it uses a platform that was designed from a clean sheet of paper for the task, rather than amalgamated from existing bits of software and hardware to form an all-in-one system. 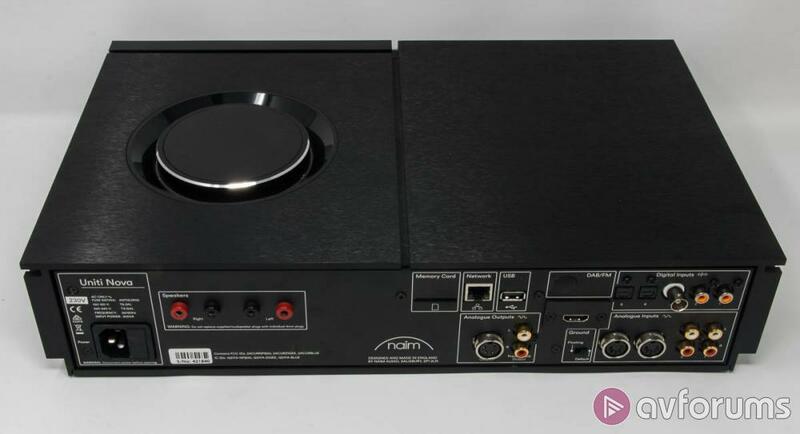 The streaming section of this platform has now made it to the standalone Naim streamers, including the not inconsequentially expensive ND555 so it is clear that Naim is pretty happy with it. The streaming platform offers the same spread of features as the other streamers. This means you have support for pretty much any format you are likely to encounter, with on board support for Spotify Connect and Tidal. This is backed up with internet radio, including Naim’s own curated content. AirPlay is also fitted, although AirPlay2 is not despite now being present on the Mu-So Qb - presumably because Naim would rather you kept your multiroom aspirations in house. Where Naim has been proactive is the inclusion of Google Cast and the quality of the fitment. If you are sitting saying “what about streaming service x”, the Cast section is 192kHz capable so you are perfectly able to send a top flight Qobuz Sublime subscription to it without harming the signal in any way. The art will still appear on the front, the control will still most likely be from the device you were running the Naim app on and the effect will be pretty much indecipherable from using the app direct. Where the Nova differs from the Star is the inputs and features. Like the Star, there are digital and analogue connections and this includes an HDMI ARC input for quick and simple connection of a TV. Where the Nova differs is the number of inputs present. There are still five digital inputs, 2 optical, 2 RCA coax and one BNC coax. These are now joined by 2 RCA inputs and one DIN connection as well as USB A connectors and an SD card slot. The Nova can form the hub of a very substantial system indeed should you wish it to. What the Nova won’t do is play a CD. Unlike the Star, this is not capable of working as a rip server and this might be a detractor to a few people. In truth, playing CD is a long way outside how Naim sees these devices being used in this day and age and it doesn’t necessarily surprise me that this functionality has been removed but it does mean that in bald ‘on paper’ terms, a big chunk of Star functionality is missing. You might reasonably ask what the space that was inhabited by the CD mech is now doing. The Nova’s reason to be is that it is rather more amplifier than its smaller brethren. Once again, back on paper, this seems a confusing statement. The Nova is more powerful than the Star but only by ten watts which, coming off the back of reviewing a 500 watt amp, can seem like a rounding error. Naim has long trodden a slightly different path to many other brands with amps though. The headline power output is less important than the current delivery and stability into tricky loads and the Nova has been designed to offer rather more in this direction than the Star. 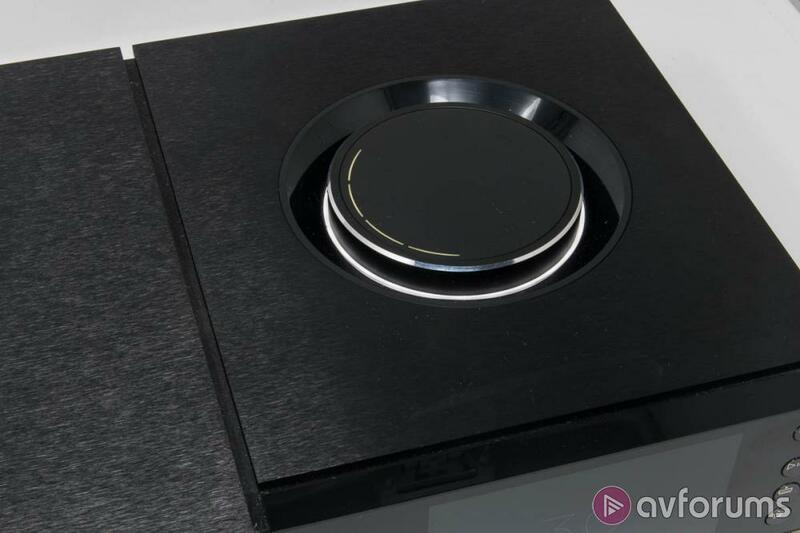 Naim has backed this up with some dealer demonstrations that have partnered it with some very serious speakers indeed, generating price balances that would have ‘front end first’ traditionalists shifting uncomfortably in their seats. Naim’s argument is straightforward - in most normal rooms, the Nova shouldn’t struggle with many speakers under £10,000. Aesthetically, the Nova is very similar to the Star - identical in fact save for the lack of drive slot on the front panel. Whether or not this is a good thing for you will rather depend on your take on the ‘bulkhead’ style appearance of the full width Uniti models. Ultimately, I rather like it. If I accept that the Atom is the best looking of all of them - it’s one of the best bits of design you can buy in the Hi-Fi sphere at the moment - I like the way these components bridge the styling gap between Mu-So and the ‘Classic’ components. The Nova is also built as well as the other Unitis which is to say, very well indeed. Naim has managed to make these units feel hefty in the classic British sense of the word. You will make the little puff of exertion lifting it out of the box and it feels entirely stout in construction terms. At the same time, it is an elegant sort of hefty. There are few visible fittings and fixtures and the whole thing feels like precision rather than brute force engineering. All the good parts of the Uniti platform are still here too. That display is gorgeous and allows for clear and easy feedback on what the Nova is doing at any given time. 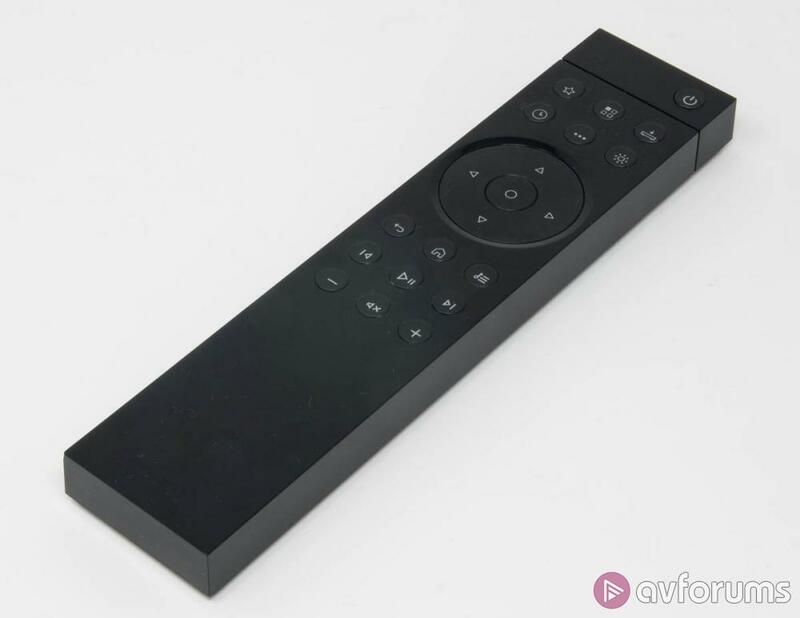 This is partnered with the excellent control app- which in recent months has really made progress in the unforgiving domain of Android - and the clever omnidirectional remote is also brilliant. 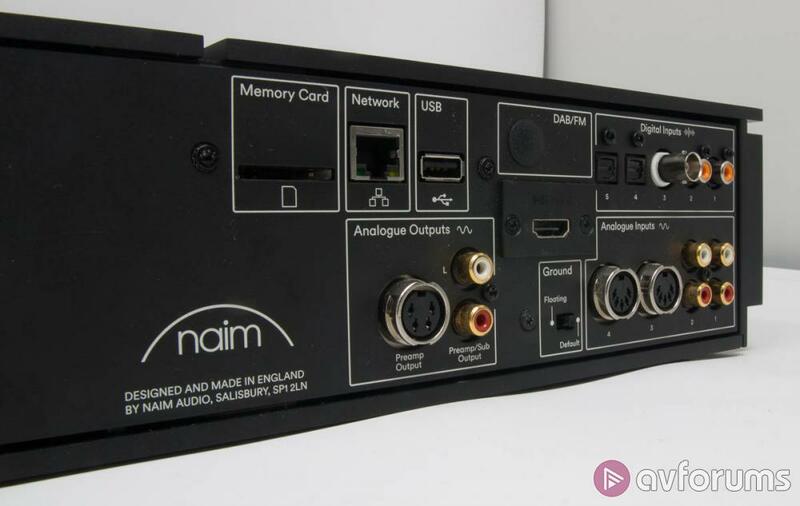 An interesting side note to this is that Naim supplied a newer production remote with this Nova and this is far less motion sensitive than earlier versions which means it is rather less prone to eating batteries. Naim’s argument is straightforward - in most normal rooms, the Nova shouldn’t struggle with many speakers under £10,000. The Naim was connected to an IsoTek Evo 3 Aquarius mains conditioner for power and a Melco N1A for media. A Michell Gyrodec with SME M2-9 arm and Van den Hul DDTII and Goldring Legacy cartridges running into a Cyrus Phono Signature with and without a Rothwell Anniversary Step Up transformer also acted as a source, as did an LG 55B7 OLED TV via HDMI ARC and optical. Speakers used have included Wilson Audio TuneTots, Acoustic Energy AE1 Classics and the Definitive Technology Demand D9s. 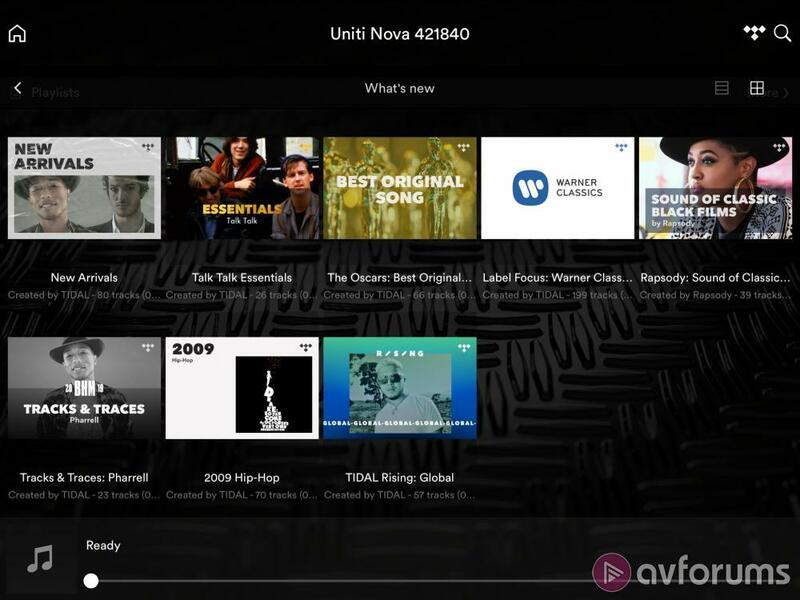 Material used has included FLAC, AIFF, DSD internet radio, Tidal, Deezer (via cast) and broadcast and on demand TV. The Naim arrived having run before so it was put straight to work to take advantage of an unusual opportunity. Present at that point were a pair of Wilson Audio TuneTots. This is the smallest and most affordable speaker that Wilson makes but ’affordable’ in this case means £10,998. They aren’t that tricky to drive but they are revealing and work best when given a little current. They, in compact form, represent exactly the sort of challenge that Naim built to the Nova to handle. And do you know what? While dividing a notional system budget of £15,000+ in this manner wouldn’t necessarily be what I’d advocate, it worked a charm. Crucially, the Nova has a level of underlying drive that ensures that the Wilsons perform in a controlled and wholly potent way. The splendid new White Lies single Tokyo has the scale and sheer heft that it needs to work as a piece of music. The single most compelling way I can summarise this is that listening to the Nova with your eyes closed into the Wilsons (and indeed other speakers), you would never twig that it is an all-in-one system by any aspect of the performance. Indeed, it feels rather closer spiritually to something like the Chord Electronics CPM2800 MkII than it does the stereotypical convenience option. But it is the very fact it is convenient that makes it what it is. There is something endlessly satisfying about finishing a brilliant rendition of Dead Can Dance’s Dionysus on vinyl before flicking to the HDMI connection and watching Masterchef. Needless to say, both of these very different challenges are handled effortlessly and the small but definable tonal character of the Nova is present in both. Temperamentally, this is a device that is closer to the Naim separates than the other Unitis. It has an unburstable sense of get up and go and immediacy that is there to pull you into what you are listening to. You cannot put the Nova on in the background at anything other than tickover without being pulled into what it does. It is no less compelling at making sense of what Greg Wallace is wittering about than it is letting the majesty of Dead Can Dance happen in front of you. Neither is this only something that happens when you have eleven grand of Wilsons at your disposal. The performance of the Nova with the Acoustic Energy AE1 Classic is no less compelling. It also demonstrates that some of the more recent refinements to the Naim ‘house sound’ are present here. Naim has managed to refine and boost the top end of these newer products without shifting the perceived tonal balance. This is still a refined and forceful device but there is now a sparkle to the upper registers that wasn’t there before. Through the Acoustic Energy - a speaker firmly in the old vein of how the company made speakers, and easily provoked - this is a serious achievement. It still won’t exactly flatter poor material - I don’t advocate a constant diet of low bitrate internet radio - but it’s still perfectly listenable with lossy Deezer via Chromecast. It’s all the more impressive because the bass response of the Nova is simply phenomenal. There is a wonderful combination of depth, precision and sheer bite that makes any music with anything happening below 100Hz that little more compelling. Creating this sort of ability is still something extremely hard to do ‘on the cheap.’ Integrating a decent low end and making it as real and vibrant as the upper registers is something that, for better or worse, really comes on as you move up the pricing ladder and, beyond the notional ten watt boost, this is where Nova really moves on for me. There is something endlessly satisfying about finishing a brilliant rendition of Dead Can Dance’s Dionysus on vinyl before flicking to the HDMI connection and watching Masterchef. Should you have skipped to the end of this, in summary, I really, really like the Uniti Nova. This is a fearsomely capable, beautifully made, comprehensively specified statement of just how good an all-in-one system can potentially be. It makes the business of selling the virtues of separate systems - including Naim’s own units - that much harder at yet another price point. This goes toe to toe with them, offers some features they don’t have, takes up less space and uses one less plug while it does it. The only note of caution I’d sound with the Nova is that to really get a fix on what it does, you do need to be budgeting for serious speakers. Naim has fulfilled what it set out to do but it is a reflection on just how good the Star is that if you are using speakers up to and including something like the simply spellbinding Dynaudio Special Forty, you don’t necessarily need the extra ability of the Nova - although if you make the decision to listen to it, I can see plenty of people putting extra money down for it. This then, is a bit of a masterpiece. The Uniti Nova is unquestionably pricey and faces incredible competition from its own family but it moves the all-in-one concept to new heights and for that reason it is our current Best in Class. 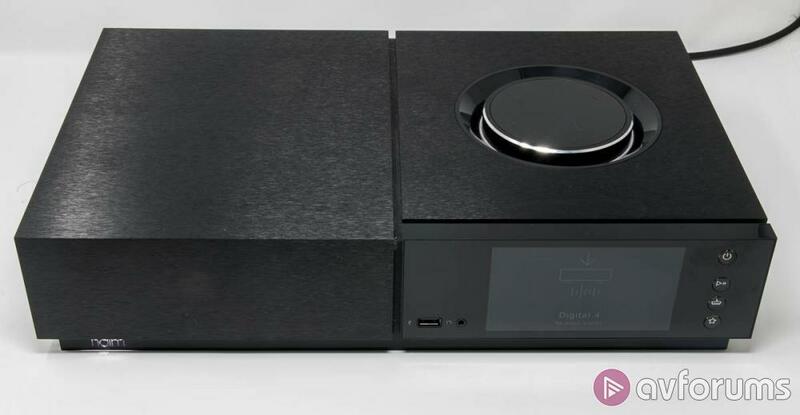 Write your Naim Uniti Nova All-In-One Hi-Fi System review.